Is the five fold ministry still valid today? Is The Five Fold Ministry A Fad? Many times in Christian circles some terms are thrown around that become popular, but the average person has no clue what they are talking about. 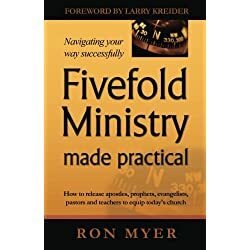 The word “five-fold ministry” is one of those catchphrases. 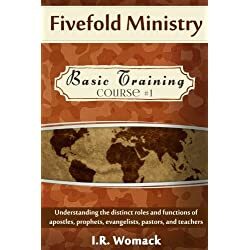 I am going to do my best to explain the term and then point out some of my concerns about how this term is taught and what is being taught when people start espousing the five-fold ministry. 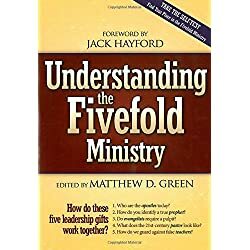 The term five-fold ministry is not found word for word in the Bible. The principle comes from the passage in Ephesians where it talks about Christ giving gifts to the church in the form of ministry offices. Here are the Bible verses this is based on. 11 Now these are the gifts Christ gave to the church: the apostles, the prophets, the evangelists, and the pastors and teachers. 12 Their responsibility is to equip God’s people to do his work and build up the church, the body of Christ. Now the reason that the term is called the five-fold ministry is that there are five offices listed in this passage. They are Apostles, Prophets, Evangelists, Pastors, and Teachers. I do not know of any Christian group that would dispute that Christ did give these gifts to the church but many would challenge the modern day application of the offices of Apostle and Prophet. I’m afraid I have to disagree with the dispute. However, that does not mean that I agree with the way that some of the body of Christ is interpreting these offices either. Are There Modern Day Apostles And Prophets? The argument against modern-day Apostles and Prophets is this. It is because of this requirement that was used by the original Disciples and Apostles in their first selection of an Apostle, that those that oppose modern day Apostles base their dispute. Unfortunately, when you place this requirement in the light of the rest of scripture, they did not continue with this litmus test later on when the church grew, and more offices were both required, and more gifts to the church were given by the Lord Himself. The Apostle Paul did not meet this requirement although those that would espouse this doctrine say that He fulfilled it because of visions Paul had of Jesus when He was on the road to Damascus. The same goes for the office of a Prophet. Those that disagree with modern day Prophets say that because the scriptures were finished being written, there is no need for Prophets anymore. There is no need for someone speaking for God. This argument has less merit than the first one. If the office of a Prophet were given for the writing of the scripture, then there would be books in the N.T. that were written by Prophets. There are no books written by acknowledged Prophets. Instead, they were all written by Apostles or by Luke who never has a designation given to Him as to holding an office. Secondly, this view does not take into account the purpose of N.T. prophecy. N.T prophecy is meant to strengthen, encourage, and comfort people. ( 1 Cor. 14:3) When has that need gone away? I do not know of any Christian group that disagrees concerning modern day Evangelists, Pastors, and Teachers. So I will not go into these offices. Just because I believe that the offices of Apostle and Prophet have not been done away with does not mean that I subscribe to how these offices are being taught and proclaimed today. I think we have a severe problem with people proclaiming themselves as modern-day Apostles and Prophets. So let’s look a little deeper at how people were designated as an Apostle or Prophet in the N.T. I am going to use the Apostle Paul as the example to follow in determining if someone is an Apostle or not. Here are some of the things that I see the Apostle Paul doing that I do not see with most modern day Apostles. With these qualifications, you see two significant issues; character and fruit. The reason the Apostle Paul was an Apostle was not that he rose through the ecclesiastical ranks but because it became evident that He had been given as a gift to the body of Christ by Jesus Himself. The office of an Apostle is not something that is bestowed upon you by man but is a calling given to you by God and is confirmed by the fruit that is produced in your life. If you have not started new churches and are seen as the leader of those churches, then you are not a modern day Apostle no matter how much you go around proclaiming yourself as such. In my experience of 33 years, I have only known of 2 men who meet this qualification, and both of those men would not want to be labeled as an Apostle. Moreover, this brings me to my next point. You do not see the Apostles going around promoting their Apostleship. Instead, you see people acknowledging their Apostleship. There is a character quality in their life of humility, servanthood, and submission to other leaders. Most modern-day Apostles want to be free of submission and do not show humility. They think that the label of Apostle frees them from these necessary Christian qualities. So although I believe that there are modern-day Apostles, I do not think that there are many and the ones that are true Apostles are few and far between. The same goes for modern day Prophets. It is being taught that Prophets are supposed to tell other leaders how to lead. Once again this lacks the fruit and character shown by prophets in the N.T. They forget that their office is supposed to strengthen, comfort, and encourage. They think they are supposed to tell others what to do. They think that since they are given the “word of the Lord,” that they are also supposed to interpret what that word means. Let me give you an example. Notice here that the word given by the prophet is different from the application that Paul took from that word. To everyone, it seemed apparent that this word was a warning to Paul not to go to Jerusalem. However, Paul did not hear the same thing. He took it as God knew what was in store for him and that was both an encouragement and a comfort to him. So you see that the teachings concerning modern day Prophets are not the same as is seen in the N.T. Prophets are not called to tell leaders what they should do, they are just called to be the messengers of the Lord and are to leave the interpretation of those words to those that they are given. They are also to walk in humility and submission. In a nutshell, the fivefold ministry is normal and average people who have been given as gifts to the church. Few are Apostles, some are Prophets, more are Evangelists, the majority are Pastors, and all leaders are called to be Teachers. They work in cooperation with one another and are not above or superior to one another. They are all used by God because of grace and not merit. So don’t fall into the five-fold ministry hype. Just understand that all of them are gifts of grace, not positions of authority.